1943 – Sunday. Dad & Bud worked Today. Marie came over & we took her home. Candice phil & Gerry & Bud went To show. 1944 – Mon. Washed & Did Most of my ironing. No Mail. We went into Town Then Marie came by & we Took her home. 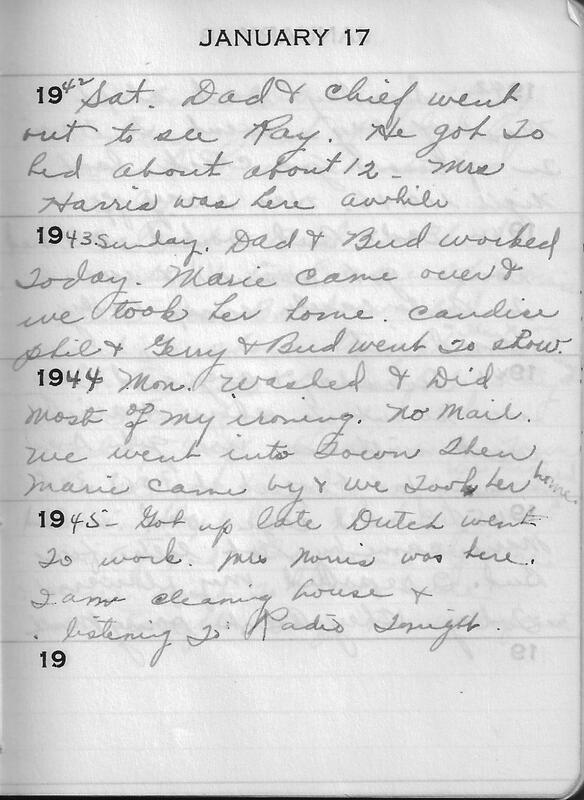 1945 – Got up late Dutch went To work. Mrs Norris was here. I am cleaning house & listening To Radio Tonight.